Our mission includes reaching the 21 million Americans who do not have the identification they need in order to vote. 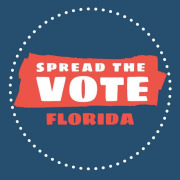 Spread The Vote is a nonpartisan, non-profit organization that obtains government-issued photo IDs for eligible voters. We are building a scaleable and sustainable way to help voters get the IDs they need for job, housing, voting, and more 365 days a year PLUS election day. Would you recommend Spread The Vote?